Here's some examples of the great deals we get in frequently. Please call us for availability. We may have some even better deals! Resists fingerprints for easy maintenance. Keeps water cleaner and removes 99.3% of lead. Quickly chill items in your fridge using the cold air from the freezer. Edge-to-edge shelves for better storage solutions. Humidity controlled crisper drawers keep delicate foods fresh for longer periods of time. This IQ-Touch control panel displays your options at all times. This drawer keeps contents chilled, so it's perfect for wine and beer or even snacks and juice boxes. Whirlpool® 33-inch Wide French Door Refrigerator - 22 cu. ft. in "Black Stainless"
reg $1999 "near perfect ding and dent" 5 in stock Hurry, only 2 left! reg $2399 "near perfect ding and dent" $1699 1 available! 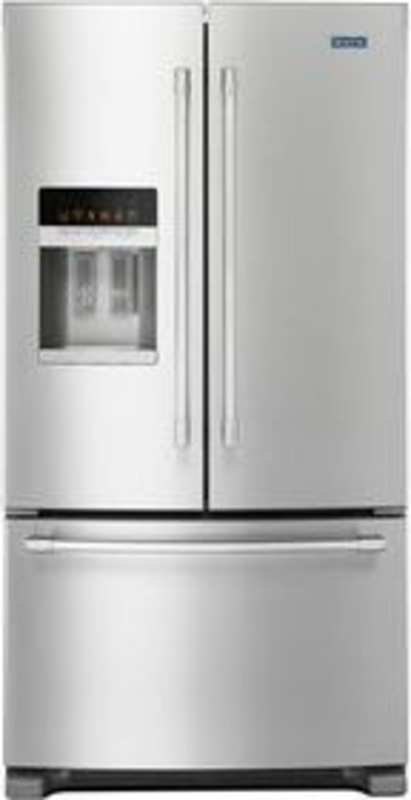 Whirlpool® 36-inch Wide French Door Refrigerator - 27 cu. ft.
Whirlpool® 30-inches wide Bottom-Freezer 19 cub ft.
reg $3499 "near perfect ding and dent" 1 in stock $2299 SOLD OUT! reg $1599 Near perfect ding and dent $1199 1 available! Charles Thomas Yingst founded Yingst Appliance in 1944 on strong moral values and integrity. His word was good as gold, and if it cost him out of pocket to keep a promise, that’s what he did. In the 1950’s he passed those values down to his sons, Leonard and Ken Yingst. They joined United Stores Incorporated, a nationwide multi- billion dollar buying group, adding new appliance sales to the already strong repair service. Highly competitive pricing became a hallmark of Yingst Appliance alongside excellent person-to-person customer service. After many years of unparalleled attention to their customers, third generation owners, Rick and Chuck Yingst, took it all a step further by becoming the only outlet in North San Diego County to offer factory authorized “Ding and Dent” appliances from Whirlpool and Frigidaire. Protected by the full factory warranty, these products became the best value in the area. Now with the same integrity that Yingst Appliance was founded upon, Ryan Yingst leads our company as we continue to serve our customers. 528 N. Santa Fe Ave. Copyright ©2019 Yingst Appliances. All Rights Reserved.